A true celebration, join us from 4:00 p.m. to 8:00 p.m. at the winery in Rutherford for an unforgettable 40th Anniversary Festival. Hours: Mon-Sun. 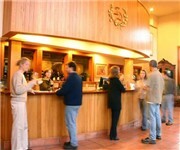 10:00 a.m. - 4:30 p.m.
How Would You Rate ZD Wines?